Sri Lankan voters ousted two-time president Mahinda Rajapaksa on January 8 from power. Lauding the steps taken by the new Sri Lankan government, the US has said it looks forward to to work with the administration of newly elected President Maithripala Sirisena. “Our expectations from the new government are the expectations of the Sri Lankan people. We simply want to support the new government in fulfilling its campaign pledges to the Sri Lankan people,” Assistant Secretary of State for South and Central Asia Nisha Desai Biswal said. “We are extremely heartened by the steps that they have taken in these early days. We welcome the very resilient and robust verdict on democracy in Sri Lanka,” she said. “The fact that this was a very peaceful transition and the fact that the new government has come in and has already started implement many of the promises that they made in their campaign,” Biswal said. “We look forward to engaging with the new government and we look forward to working with them,” she added. 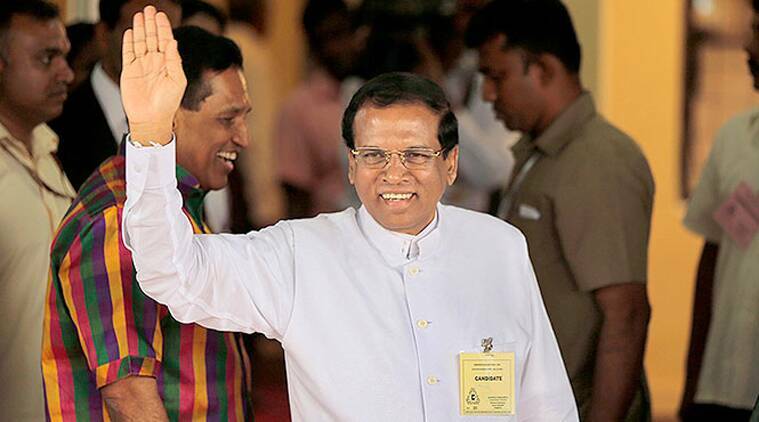 Sri Lankan voters ousted two-time president Mahinda Rajapaksa on January 8 from power and elected his one-time ally Sirisena, who defected to the Opposition camp on the eve of announcement of the elections.